This is part three of a series on mast cell activation syndrome (MCAS) triggered by Lyme and co-infections. Part one is an introduction to MCAS including an interview with Dr. Jill Carnahan. Part two is a description of my daughter’s diagnosis of MCAS and the five-step process we used to get her back on track. In this part, I give more details about specifically how we did it. When trying to calm mast cells, the key is to reduce the number of flares. Eliminating triggers, lowering histamine levels, and getting on the right medication(s) are critical. Every time you have an allergic reaction, it reactivates the mast cells. This domino effect makes the body more sensitive to even minor triggers. The lower you can get your histamine levels and the longer you can go without an allergic-type reaction, the calmer the immune system becomes. In our experience, if you can go three months without a reaction, you are on the road to healing. Accepting that you have a problem. This is a tough one. It reminds me of my daughter’s childhood friend, who was diagnosed with diabetes in second grade. After years of failing oral medications, he eventually received an insulin pump that inserts directly into his abdomen. It completely changed the type of sports he could play and the way he had to live his life. But within a year, he had adjusted and could do nearly everything other kids his age did, as long as he adhered to a routine. My daughter had to come to grips with the fact that she may never be able to roll in the grass or eat many of her favorite foods again. She also had to accept that she’s lost five years of her life and a lot of childhood dreams. Not only that, but fighting our way through the medical system to a diagnosis and treatment left a lot of emotional scars and a type of trauma caused by medical treatment (iatrogenic)– very similar to post-traumatic stress disorder (PTSD). This is where I truly believe a compassionate therapist is needed. So, to me, healing from MCAS not only requires lowering histamine levels and retraining your immune system, but also retraining your mind, creating a safe environment within your restrictions, and designing a lifestyle that continues to bring you joy. It may take months to find a doctor well-versed in MCAS. In the meantime, I recommend trying to identify your food triggers. A common method for determining food allergies is an “elimination diet.” You eliminate specific foods for one to three weeks, then systematically reintroduce them and watch for symptoms over the next several days. After consulting with my daughter’s doctors and coming up with a list of low-histamine, nutrient-rich foods, we re-introduced them systematically, almost like low-dose immunotherapy. The first day she would take a small bite and spit it out. If her mouth didn’t break out, the next day she would swallow a small bite, increasing the bite size each time until reaching a full serving. If her mouth tingled or broke out, we would wait several weeks before trying again. We opted to only add one new food every week so we could monitor immediate and delayed reactions. If she didn’t react, we knew these foods could be rotated into her diet every four days. I will include more information about how we dealt with food issues in my next installment. The Beginner’s Guide to Histamine Intolerance. Janice Vickerstaff Joneja, Ph.D. Your daughter is so lucky to have you to research, organize and remember all of this. Thank you! She was 14 when she first became ill. I promised her I would not give up until she had her life back. We are almost there. Does MCAS have to be a bone marrow issue? I have lyme,babesia and bartonella, gene positive for mold. I get deathly ill from mold. How do i start to calm my body. Nothing is working. Im so ill at most of the time now. My husband has lyme and my daughter too. Its so hard to be the investigator and problem solver when you are so ill.
18 years and still fighting. 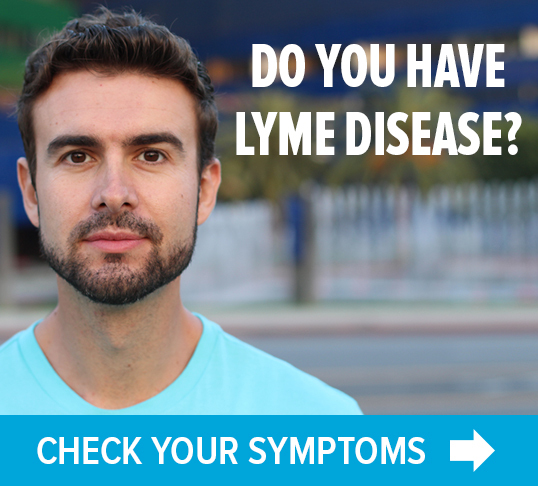 They missed the Lyme until 2014. The rest was found Dec 2017..
Keep researching, reading every article, blog, comment, watch youtube videos. I’m in the same spot-since 1988. I’ve found a few things that help. Diet is most important, environmental triggers, stress management, take certain herbs. We’re kind of on our own to treat ourselves, I think. At least that’s been my experience. I have had Lyme for over 20 years. MRSA, EBV and of course MCAS. Years of drs and supplements. I finally found Infusio and went in for stem cells. I am 6 months post stem cells out of bed and feeling great. The pain, headaches, nausea, brain fog are mostly gone. I hope for the best for you. I personally have not looked into stem cells for my daughter as it is still considered experimental. I am more inclined to stay with treatment that has been validated, especially where children are concerned. I am certainly happy you are feeling better. name. It helps to put this in perspective and have a direction for healing. Thank you. I do hope there is some information here to help you and your daughter. Have you tried Low Dose Naltrexone to calm the inflammatory immune system? 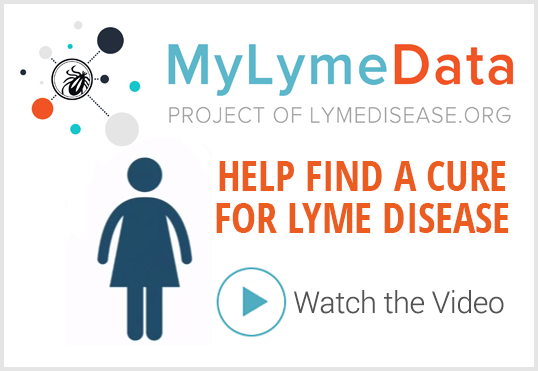 We did try LDN very early in her Lyme & Co treatment and it made her feel worse. Looking back there may have been other factors involved–possibly the fillers? As she is making steady improvement on the current protocol we are not planning to change course. Have had this since 1989….I have incorporated the above recommendations and improved but not recovered. I think Lyme is the culprit….I have to say that the allergies and reactions are the hardest part of Lyme disease for me. I really hope I can experience freedom from this before my life ends..thanks so much for the information and validation. It may require a change of climate for me. I can’t imagine having this condition for close to 30 years. Ugh. My heart goes out to you. 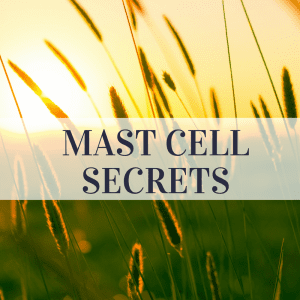 I know weather (pressure, humidity and temperature changes) can be a HUGE factor for mast cells. I will be rolling out more tips in the coming weeks. Hopefully, something helps.